MANILA, Philippines — Now in its third run, Bench Fashion Week returns this season with a bigger and bolder approach. Created to celebrate both local and global fashion, BFW is a three-day celebration showcasing top local brands under the Bench umbrella with Human, Kashieca and Bench, together with Bench’s global partner brands like Cotton On, Karen Millen, Vero Moda and American Eagle, plus their multi-brand concept store, Assembly. 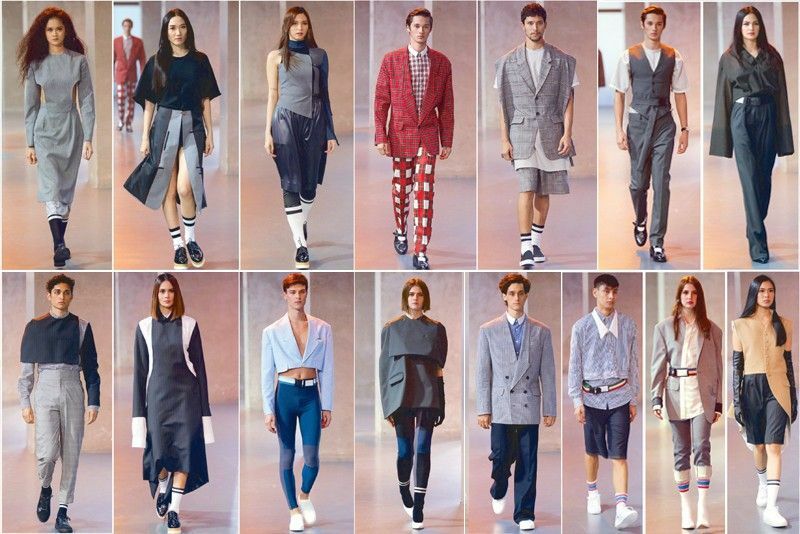 Priding itself on promoting local artistry, Bench Fashion Week also features some of the best designers in the country like Vania Romoff, Jaggy Glarino, Jenni Contreras, RJ Santos and the inimitable Joey Samson. Closing the season and fresh from his much-raved-about show with Red Charity Gala late last year, Samson has shown no signs of stopping and sent down 28 looks for this collection. His trademark menswear and tailoring aesthetic has always been a hit and this time is no different. The Philippine STAR talked to the designer about his collection for Bench Fashion Week. JOEY SAMSON: Rekindling my love affair with menswear and classic and traditional tailoring and sportswear, hence the feel and look of familiarity but the approach to proportion is bolder. Dimming the definition and lines of specific garments, mixing elements and reshuffling looks, resulting in new, genderless hybrids. Who is the Joey Samson muse this season? The JS muse now has a renewed sense of adventure and openness and is able to define his/her preferences and choices and outlook more distinctly. Is there any fabric or technique that you introduced for this collection? More mix of plaids and checks and stripes, but staying true to the fabric that’s definitive of my design aesthetic, which are suiting materials. Can you walk us through the styling story of the collection? I want to downplay the seriousness of a classic business suit and marry it with a trend or an element that’s more approachable/relatable. In this case, it’s active sportswear/ athletics. I want the audience to see the endless possibilities of transforming a garment or a look from a basic tailored piece to making it look more updated and even be able to make it work as an after-work or make it as an option for evening wear. Having an open mind is key. What’s your take on the “see now, buy now” concept introduced by Bench this season? It makes show pieces readily available to the market, so that’s good. The only thing is, since they’re straight from the show and worn by models, it can only cater to a certain size/body type bracket. What’s next for Joey Samson? To continue to explore, learn myself and work better.